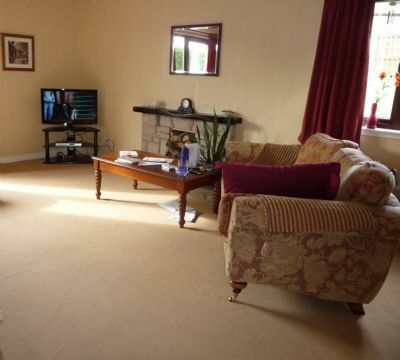 Large lounge, kitchen with dining area, ground floor toilet, bathroom and four single bedrooms. All bedrooms have a hand basin and are decorated to a high standard. The aim of the unit is to promote independence in a safe and secure environment, allowing the residents in this unit to develop at their own pace with minimum interference, with staff always recognising that first and foremost this is the residents' home and that staff are there to care and advise not to control. The residents in this unit have a budget for their own food shopping. With staff support they buy their own food and cook this within the unit. They are encouraged to undertake household tasks supervised by staff. Residents in this unit have moved on to a more independent setting after a period of time at Maple Ridge. This has always been the ethos of this unit.